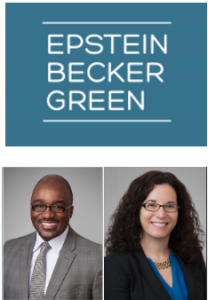 In the most comprehensive summary of legislative and regulatory issues related to telemental health to date, Mr. Rene Quashie and Ms. Amy Lerman of the telehealth speciality law firm of Epstein, Becker and Green have released the results of a 50-State Telemental Health Survey. They review state law regulating the practice of telemental health in psychiatry, psychology, social work, counseling, marriage and family therapy. Their findings show that a variety of states have adopted widely divergent policies, many of which appear to have been drawn directly from national association ethical codes and guidelines. The document’s introduction also provides an excellent summary of market issues and evidence-base related to telemental health. The practitioner currently considering or engaged in telepractice is encouraged to carefully review this telemental health survey to better understand their legal requirements. Knowing and complying with state law is crucial when practicing in any state, that is, both one’s “home” state of licensure as well as any other state “entered” via any form of technology (e.g., email, text messaging, apps that connect client/patient to provider, telephone, or video). Consequences for failing to comply with such law can result in fines, imprisonment and an inability to collect malpractice insurance benefits in some situations. While such consequences do not occur frequently, they are occurring with increased regularity as the regulatory boards awaken to the thousands of professionals who have been practicing without awareness of the many ways they can unwittingly harm clients/patients without malicious intent. Furthermore, defending oneself from regulatory board investigations can be disheartening, to put it mildly. State law with regard to telepractice is in rapid flux. What is true today may not be true next month. The prudent professional then, is advised to use this document as a starting point to begin a conversation with their state regulators about current requirements for their discipline. As we at the TeleMental Health Institute have been advising for more than two decades, it is the responsibility of the practitioner to understand and be compliant with all relevant legal and ethical codes. Mr. Quashie and Ms. Lerman have now made these conversations with regulators much easier by providing a well-considered summary of relevant rules and related issues. Additionally, in all behavioral disciplines, professional training to establish “competence” is required by all ethical codes prior to delivering services electronically. Such professional training can not only lead to meeting professional requirements for continuing education, but also help the professional better understand their ethical mandates beyond state-defined regulations. • Psychiatrists, as practicing physicians, must comply with all the obligations that apply to physicians practicing telehealth generally. Very few states exempt mental health services from these requirements, despite the fact that many psychiatrists never lay hands on patients. Texas is one of the few states that explicitly carves out mental health services from requirements applicable to the provision of other telehealth services. • In Delaware, an individual practicing “telepsychology” must conduct a risk-benefit analysis and document findings specific to issues, such as whether a patient’s presenting problems and apparent condition are consistent with the use of telepsychology to the patient’s benefit, and whether the patient has sufficient knowledge and skills in the use of technology involved in rendering the service or can use a personal aid or assistive device to benefit from the service. • Kansas requires psychologists and social workers providing telemental health services to obtain the informed consent of the patient before services are provided. • In Maryland, physicians (psychiatrists) are required to develop a procedure to prevent access to data by unauthorized persons through password protection, encryption, or other means and to develop a policy on how soon an individual can expect a response from the physician to questions or other requests included in transmission. • Montana psychologists may initially establish a “defined professional relationship” electronically so long as the means of communication involves a two-way, real-time, interactive platform providing for both audio and visual interaction. • To regulate marriage and family therapists, South Dakota relies on the American Association for Marriage and Family Therapy’s Code of Ethics, which requires that therapists evaluate whether electronic therapy is appropriate for individuals and inform them of the potential risks and benefits associated with electronic therapy. • Nevada allows APRNs to practice by using equipment that transfers information concerning the medical condition of a patient electronically, telephonically, or by fiber optics from inside or outside Nevada or the United States. For the full document, please see this page: 50-State Telemental Health Survey. The TeleMental Health Institute, Inc.
We at the TeleMental Health Institute are not only delighted that this survey has been made available, but also honored to note that Mr. Quashie and Ms. Lerner mentioned the TeleMental Health Institute (TMHI) as a reliable resource to obtain more information about such pivotal issues. We thank them for their recognition of our efforts to educate our colleagues about telepractice across the behavioral disciplines. Readers interested in TMHI offerings are encouraged to view our webinars, individual courses and discounted, certificate programs of professional training. Graduate schools seeking to bring this course content as graduate-level education are also encouraged to review our graduate program offerings. Groups seeking to expand their services into telemental health are invited to review our consultation, staffing and credentialing services as well.